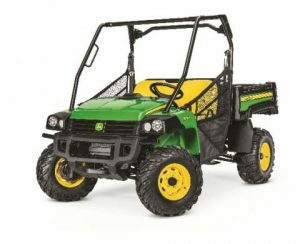 One of the Gator crossover utility vehicles part of a large recall by John Deere. John Deere announced a large recall of their XUV crossover utility vehicle because of a steering shaft issue. The recall involves approximately 68,300 Gator XUV825, XUV825 S4, XUV855, and XUV855 S4 crossover utility vehicles sold between March 2012 and November 2017. The steering shaft can separate from the steering rack assembly and result in a loss of steering control. Consumers should immediately stop using the vehicle and contact their John Deere dealer for a free repair. This is one of the largest recalls in the market in the last few years outside of the well publicized Polaris recalls in 2016. Any recall over 10,000 vehicles would be considered large compared to what typically occurs in the market. SVR tracks recent recalls of UTVs, LSVs and golf cars. Luckily, there have been no reports of injuries and only nine reports of steering control loss. The following is recall information from the Consumer Product Safety Commission. Hazard: The steering shaft can separate from the steering rack assembly and result in a loss of vehicle steering control, posing a crash hazard. Description: This recall involves John Deere models XUV825, XUV825 S4, XUV855, and XUV855 S4 Crossover Gator utility vehicles equipped with power steering. The model number and “John Deere” are printed on the side of the vehicle. The serial number begins with 1M0825 or 1M0855 and is located on the passenger side of the frame under the cargo box. The vehicles have seating for two or four passengers. Remedy: Consumers should stop using the recalled utility vehicles and contact an authorized John Deere dealer for a free repair. John Deere is contacting purchasers of the recalled utility vehicles directly. Incidents/Injuries: John Deere has received nine reports of steering loss. No injuries have been reported. Sold At: John Deere dealers nationwide from March 2012 through November 2017 for between $13,400 and $16,100. Manufacturer(s): Deere & Company, of Moline, Ill.
Consumer Contact: Deere & Company at 800-537-8233 from 8 a.m. to 6 p.m. ET Monday through Friday and Saturday from 9 a.m. to 3 p.m. ET or online at www.deere.com and select Product Recall Information on the drop-down menu under Services & Support for more information. The Tata Ace Mega is one variant of the popular mini-truck from Tata Motors. 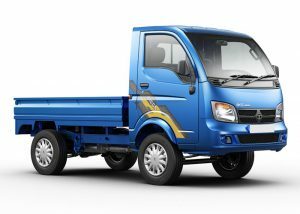 Tata Motors of India recently announced that the 2 millionth Tata Ace mini-truck had been sold. The company reached the milestone in 12 years. The Tata Ace is popular in India and other Southeast Asia countries where mini-trucks and a host of other small vehicles are used for “last mile” transportation in a spoke and hub system. According to Tata management the company controls 65% of the mini-truck market. Other players in the market include Mahindra with their Jeeto vehicle and Piaggio with their Porter 700. The Tata Ace platform has grown into over a dozen offerings since being launched in 2005. The Tata Ace family includes brands like Ace, Zip, Mega and Mint for cargo transport and Magic, Mantra and Iris for passenger transport. The vehicles come in a range of engine power, engine type and body configurations to fit a wide spectrum of end-use applications in urban to rural settings. For example they offer the Super Ace Mint with a suction machine for sewage and manhole cleaning and other models are specifically designed for use as food trucks. Small scale transporters and entrepreneurs are the main target customers for these vehicles. 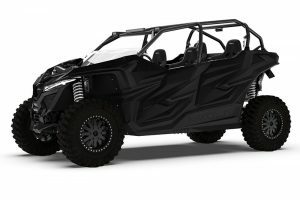 The 2016 Polaris RZR 900 EPS is one of a number of previously recalled models still experiencing issues despite being repaired. 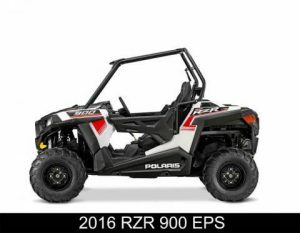 Polaris continues to have recall issues related to their RZR 900 and 1000 which were previously recalled. According to a joint statement issued by CPSC and Polaris, some vehicles that had been repaired under the recall are still experiencing fires. In addition 2017 RZRs not included in the recall are experiencing fires as well. The original recall was initiated in April 2016 and covered model year 2013 – 2014 RZR XP 900, 2014 – 2016 RZR XP 1000, 2015 – 2016 RZR 900 & S 900, and 2016 RZR S 1000 vehicles. The recall involved approximately 133,000 vehicles. Polaris can’t seem to shake their recall issues. According to management they have put additional manpower and resources into addressing the issue in a systematic way to improve product development, quality control and issue tracking. What is not known is if these issues are related to previous systemic problems before new processes and people were put into place or if they show that problems still persists after the changes were made, which would be more worrisome. SVR has been tracking recalls from Polaris and other manufacturers. The following is the joint statement from the CPSC and Polaris. 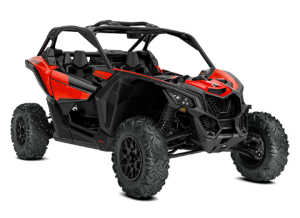 Minneapolis, MN (December 19, 2017) – The US Consumer Product Safety Commission and Polaris are informing the public about fires on model year 2013–2017 Polaris RZR 900 and 1000 Recreational Off-Highway Vehicles (ROVs). These fires have caused death, serious injuries, and property damage. Most of these vehicles were voluntarily recalled by Polaris in April 2016 to address fire hazards (https://www.cpsc.gov/Recalls/2016/polaris-recalls-rzr-recreational-off-highway-vehicles-due). However, users of the vehicles that were repaired as part of the April 2016 recall continue to report fires, including total-loss fires. 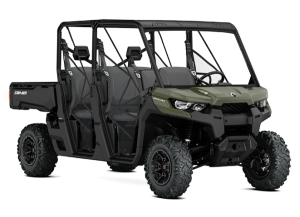 The 2017 RZRs were not included in the April 2016 recall, but these models have also experienced fires. The CPSC and Polaris continue to work together to ensure fire risks in these vehicles are addressed. However, at this time, the CPSC and Polaris want to make the public aware of the fires involving these vehicles. The CPSC advises consumers to report any fire or overheating-related incidents at: www.SaferProducts.gov or the CPSC Hotline at 1-800-638-2772. The electric powered Nikola NZT is slated to hit the market in early 2019. Impressive performance specs put the Nikola NZT in direct competition with high end performance UTVs. 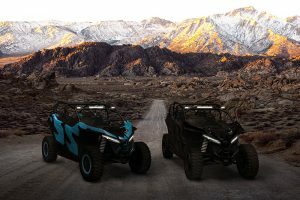 Nikola Powersports revealed their four model lineup of UTVs that will be available in 2019 under the new Nikola NZT brand. The four initial models include the NZT 440, NZT 352, NZT 280 and NZT 198. The numbers represent the kW output. There are actually 10 different vehicle configurations planned based on the combination of drivetrain kW and the battery pack size. The entry level NZT 198 weighs in at 2,300 lbs. and pricing starts at $28,900. There will be 75kWh, 100kWh and 125 kWh battery options that translate into 90-150 miles of range. Top end models can start at $45,900. Production is scheduled to begin in the fourth quarter of 2018 and be in dealerships for Spring 2019. Reservations with no deposit down can be made on the company’s website. Nikola Powersports kicked off the NZT launch with a high quality video taking direct aim at what will be their competition in the high end performance UTV market. The video shows the NZT giving a couple competing UTVs including a Polaris XP Turbo a sizable head start before catching them and leaving them in the dust over a variety of terrain. This is another significant step towards Nikola delivering on their initial promise of an all electric, high performance UTV. While they still have to take the major steps of going into production and then actually delivering vehicles, the prototype and a large part of the testing phase appears to have been completed. Obviously the Nikola NZT UTV is going to be very expensive but the lowest priced model is certainly within the price points of the current high end of the market. For example the RZR XP 4 Turbo Dynamix Edition starts at $28,499 and the RZR XP 4 Turbo FOX Edition at $25,499. In addition, even the entry level vehicle promises to provide significant performance advantages over the existing gas-powered vehicles. They are following a similar playbook to Tesla in that they are attacking the high end of the market first and no doubt plan to move down the pricing scale. The real test will be how the existing high end users will take to the Nikola NZT. I assume as Nikola gets closer to actually bringing the vehicle to market, they will be putting some vehicles in the hands of some high profile users. It will be interesting to see their reactions. The Can Am Defender Max and the Defender line as a whole helped drive sales. 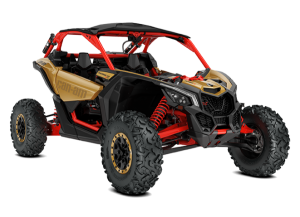 The Maverick X3 X RS Turbo R and other X# models have helped drive sales as well. BRP reported third quarter earnings for fiscal year 2018 of $1,241million ($C), a 15% increase from last year. Sales were driven by their Year-Round Products division which includes side-by-sides and Seasonal Products division which includes snowmobiles. For the quarter, Year-Round Products revenue increased $77 million or 20.1% to $460.9 million mainly on higher volume of Maverick X3 and the newly launched Maverick Trail. The following are highlights of the earnings call related to the side-by-side market. This marks another strong quarter for BRP as they continue to gain market share in the side-by-side market. Management expects to continue to follow their plan of adding new models every six months until 2020. The overall market appears to remain steady and strong with solid growth. 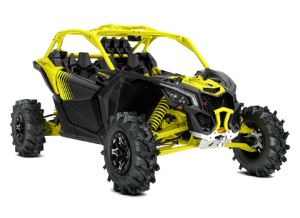 The new, mud-specific Can-Am Maverick X3 X mr Turbo R.
The new Maverick X3 900 HO features a 90 hp engine and an entry level price point.